Speck’s innovative laptop sleeve, FlapTop, is now available for Microsoft’s Surface Pro 4. 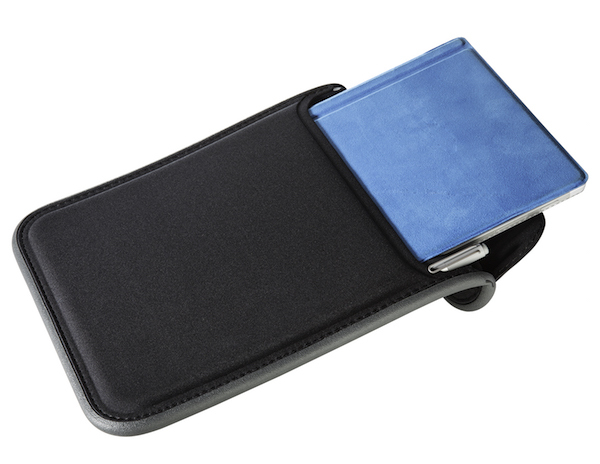 This durable sleeve has a unique closure that closes automatically and doesn’t use zippers or magnets. It’s so state-of-the-art that we have a patent pending on it and once you try it out, you’ll see why. The entire perimeter of this Surface Pro 4 sleeve features the IMPACTIUMTM FOAM Shock Barrier. It’s made of a lightweight, yet strong foam that compresses on impact to absorb shock, protecting your Surface Pro 4 from drops. The sleeve’s smooth exterior of protects against scratches when it’s in your bag. FlapTop is water resistant too, so it’ll hold up to a coffee spill or surprise rainstorm. Check out the video below to learn all about the features of the sleeve and get step-by-step directions on how to use FlapTop with the Surface Pro 4. We love this case here at Speck HQ and we hope you do too. Pick one up for the MacBook 12”; MacBook Air 11” and 13”; MacBook Pro 13”; MacBook Pro with Retina Display 13” and MacBook Pro with Retina Display 15”; and Microsoft Surface Pro 4.